Thinking about becoming trained to be a leader of this 360 Project module? Here are the resources to assist your decision in whether to pursue that role. The first thing to do is to watch the 360 Project New Modules Orientation video. During it you'll be directed to have a look at the bits below the video here. You'll find the presentation (as a pdf file), the participant's workbook (also a pdf) and links to other resources as well. Note that the video is made to orient people about both new modules: this one as well as FAITH360: Praying in Anglican Ways. 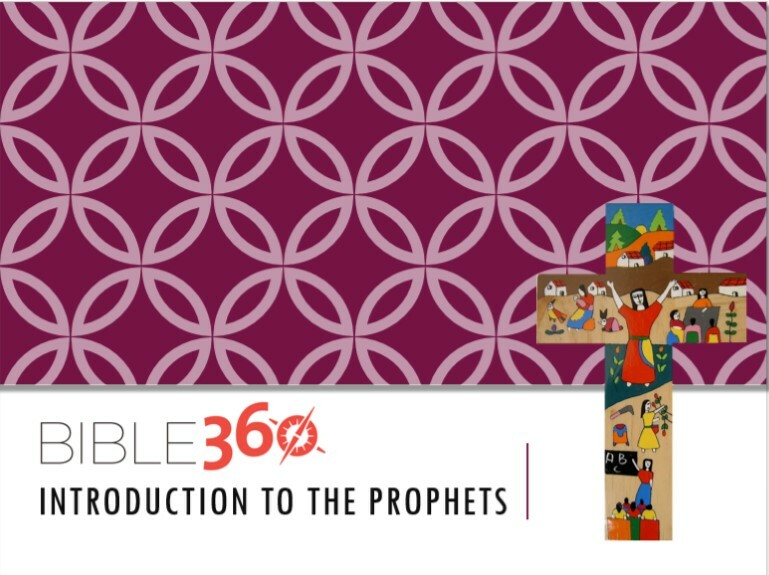 So here's the pdf version of the presentation of BIBLE360: Introduction to the Prophets. Download it to have a look at the kind of content and activities that are a part of the seminar. Presenter's notes are included. Here's the Participant's Workbook for the seminar. Download it to get a sense of the seminar from the participant's point of view. These videos are an accompaniment to the seminar. They could be used at appropriate moments during it, say, after a break or when a particular question arises. Or they can just be seen as an added resources that participants can be pointed towards at the end of the seminar.